This is an eye catching way to get students attention in planning the summary of their story. Student are able to list the main characters, setting, events, and conclusion of the story. 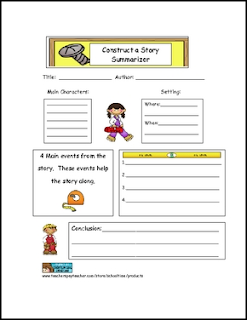 After completing this planning page students will be able to take their information and create a summary of the story they have read.